Time and again, FORTA® Asphalt Fibers make asphalt pavement perform. And perform. And perform. 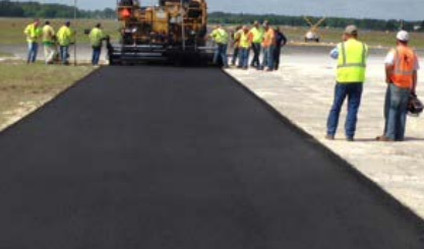 FORTA-FI® high-tensile strength fiber for asphalt pavement helps roadways, airfields, parking lots, driveways and bicycle/walking trails perform better and last longer than traditional asphalt placements. Millions of FORTA-FI fibers distributed throughout the asphalt paving material increases the strength and durability of the mat while helping it resist premature cracking and rutting. Thinner placement designs, saving money upfront on material costs while still achieving similar design life. Going Longer...Going Stronger with FORTA-FI is an affordable way to add value to your next asphalt project, and there are many ways in which 100% recyclable asphalt material meets your green building goals! FORTAfied asphalt is stronger asphalt, and builds tougher roads that are both safer, and more fiscally responsible. FORTA® takes pride in it’s individualized customer service dedicated to creating a friendly environment for customers with questions, special orders requests, trouble shooting issues and dosage concerns.